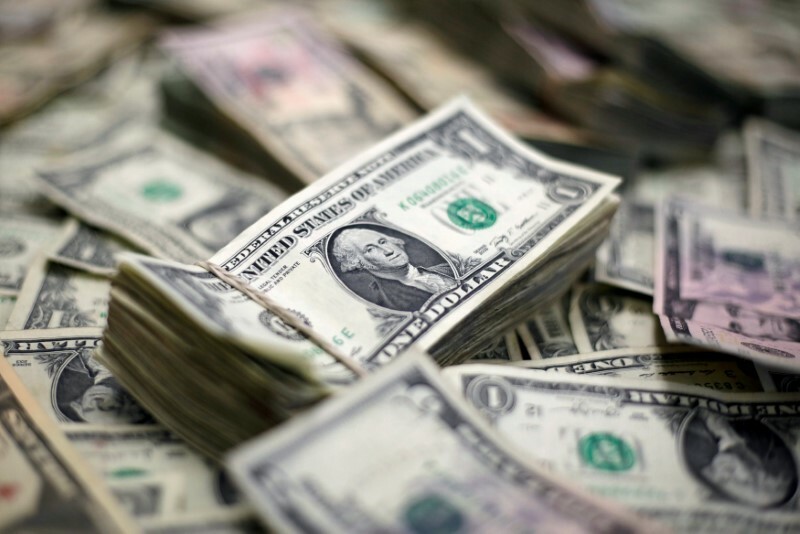 NEW YORK (Reuters) – The dollar was little changed on Wednesday, hovering near an 11-month peak against a basket of major currencies as China’s signal of a tolerance of a stronger yuan offset anxiety about the global trade conflict. The greenback, as well as the yen and Swiss franc, remained well supported as traders braced for possibly another round of tariffs. Before Wednesday’s market open, the People’s Bank of China cut the yuan’s midpoint rate to 6.4586 per dollar, the weakest level since Jan. 12 and much stronger than market models had suggested. The move is seen as a bid to stabilize investor sentiment and avert the yuan from sagging further. On Tuesday, the Chinese currency fell a five-month low of 6.4948 yuan in the offshore market following U.S. President Donald Trump’s threat of a 10 percent tariff on $200 billion of Chinese imports. Still Powell and his peers at the European Central Bank and Bank of Japan, Mario Draghi and Haruhiko Kuroda, offered no fresh views on their policy stance. At 11:50 a.m. EDT (1550 GMT), an index that tracks the dollar against the euro, yen, sterling and three other currencies (DXY) was down 0.09 percent at 94.994 after touching an 11-month peak of 95.299 earlier on Wednesday. The euro (EUR=) was little changed at $1.1584 and 127.56 yen (EURJPY=). The greenback was steady against the Japanese currency at 110.11 yen. The Australian dollar, seen as a proxy on market sentiment toward China, fell to a 13-month low of $0.73475 on Tuesday before bouncing a bit to $0.73805. The Swiss franc dipped 0.2 percent to 0.9959 per dollar, erasing the prior day’s gains.